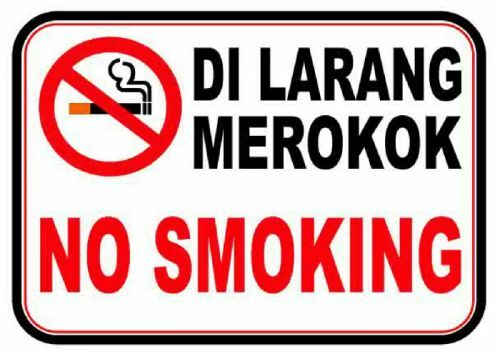 Smoking in all restaurants, coffee shops and hawker centres nationwide will be banned starting next year, even in open-air eateries. Apart from the existing smoke-free zones in public places and government buildings, the new ruling under the Health Ministry will encompass all restaurants and eateries, including open-air hawker centres and street stalls, according to Deputy Health Minister Dr Lee Boon Chye. Those caught smoking at prohibited areas will be fined up to RM10,000 or face two years’ jail. Eateries found to allow their patrons to light up will be fined up to RM2,500. “This time, all restaurants regardless whether they are an enclosed area, air-conditioned or open-air will need to comply with the ruling from next year,” he said after opening a conference at the Asian Institute of Medicine, Science and Technology yesterday. Dr Lee said smokers or restaurant owners who violated the ruling would face action under the Control of Tobacco Product Regulations 2004 under the Food Act. He added that the ruling was not only to encourage smokers to kick the habit, but also to protect non-­smokers from the effects of secondhand smoke. “No doubt smokers will say they have the right to smoke, but non-smokers also have the right to enjoy their food without being harmed by cigarette smoke. “Business operators and traders need not worry about getting fewer customers as we are confident that more non-smoking customers will eat at places without the presence of cigarette smoke,” said Dr Lee. He also said imposing the ban on roadside and illegal eateries was still a challenge and that the ministry had yet to decide on the details.